I can still recall the first tripod I purchased. The memory is so vivid because I made some fundamental mistakes and didn’t buy the best tripod for me. It cost me a lot as well as caused much frustration. I don’t want you to go through the same painful experience so I created this Tripod Buyers Guide to help you spend your hard earned money wisely. If your choosing a tripod, please read this article first. Do you really need a tripod and is it right for the type of photography you plan to shoot? In some instances, such as sports photography, a tripod will hinder you as you struggle to pan the camera in order to keep up with the action. You might find that you’re better using a combination of a fast lens, high ISO and a monopod support. How important is the maximum height of the tripod? If you are very tall or suffer from a bad back, you might only want to consider tripods that allow you to work stood up at eye level. How important is the minimum height of the tripod? If you want to take your tripod travelling it will need to pack down into your case. This might also require that you can remove and reattach the head easily. Buying a tripod where the head is fixed onto the legs or one that requires you to remove screws with a screwdriver, isn’t going to be very travel friendly. Hand in hand with the question of size is a question of weight. How much weight are you able to carry? If you are going to be doing landscape photography where you will be walking a lot, or possibly climbing mountains, may mean having a light tripod is very important. The flip side of the weight question is that a light tripod often has a weight limit. Lighter tripods tend to be less stable, especially in a wind. You need to understand the weight of the equipment the tripod is required to support. Many tripods have a maximum weight but if you’re getting near to that you will often find they have stability problems. I would suggest halving the maximum weight limit of the tripod gives a good working limit. Try to choose the tripod legs and head separately. This tends to be a good indicator of quality (but not fool proof). If the tripod legs won’t accept different heads, it’s probable that the tripod is isn’t high quality. The more sections you find in the tripod legs, the smaller the tripod is likely to collapse down to. At the same time, the higher the number of legs sections, the less sturdy the tripod is likely to be. Again there are exceptions to this such as the Velbon Rexi-L or it’s more recent replacement the Velbon Ultra 655. This tripod has 5 section legs but is amazingly stable. One reason the Velbon mentioned above is so sturdy is the design of the leg sections. These have quite a wide tubular design that uses a twist lock mechanism. Some designs just aren’t study so it can help to read other users reviews. In addition to the maximum working height, consider the minimum working height. Many tripods have a central column that limits how close to the ground you can work. Does the tripod have the ability to remove the centre column? Does it also have a mechanism to allow the legs to lie flat or near to flat on the ground? A well designed tripod will allow you to do these things with ease. A flexible design can sometimes mean the tripod is unstable or the camera vibrates once in position. My first tripod was very flexible and could be positioned in many amazing ways. What it didn’t do was support my camera without vibration. Consider the tripod head and its movement. People often want ball heads because they appear more flexible. Unfortunately, they then find difficulty in getting the camera into position and keeping it there. Often a simple three-way pan and tilt head will give a full range of movement and be much easier and quicker to work with, especially if your camera is heavy. A further feature that’s almost essential is a quick release plate. This is a small plate that screw to the bottom of your camera and then clips securely into place on the tripod head. You can see an example in the image above. When you want to remove the camera you just pull the release lever. 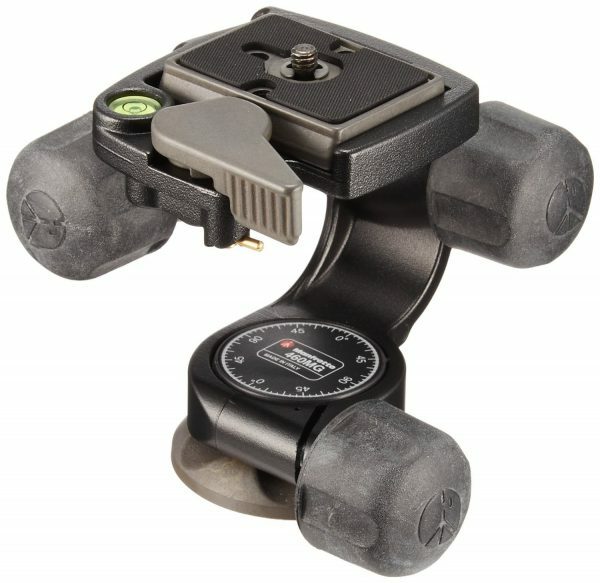 This removes the need for you to keep screwing and unscrewing the camera from the tripod head. Trying to work without a quick release plate is nothing short of painful. Be sure to buy yourself a couple of spare quick release plates. This isn’t in case you lose them but is to allow you to attach one to the bottom of every camera you own and leave it there. I have quite a collection of tripods but frequently come back to the same few setups. The following pairing is a great combination for travel and trekking. Its light, sturdy and compact. I have used this (I actually have the Velbon Rexi-L which has been replaced by the Ultra 665) with anything from a compact camera to a Medium Format camera and it’s been a great performer. The only time it struggles is in high wind. If you are happy to carry a heavier tripod in order to work with something a little sturdier, the following combination is excellent. I have work with this tripod and head for some 15 years now and have subjected it to much abuse. The leg clips on the base have finally corroded due to being regularly used at the beach and in the sea, but I won’t throw it away. This tripod may not be packed with features but its sturdy, strong and built to last. If you like the idea of the Manfrotto 055 but would like something a little lighter, take a look at the carbon fibre version. I have just bought one of these and whilst it costs more than the aluminium version, it’s very impressive and good value for carbon fibre. It’s also available with either 3 and 4 section legs. I hope this article has provided you with some helpful thoughts and ideas about what to look for when choosing a tripod. The Ultra 655 is listed with a maximum load of 4 Kg, not a good sign. My experience with Velbon products, such as the Maxi, was horrible. The Manfrotto products you are recommending are also not very appealing. Manfrotto is behind the times. Their proprietary quick release system is a weak point compared to the Arca Swiss design which has become an industry standard. Why don’t you review and compare with the Feisol 3442 legs and, say, a Markins head? The fact that the price is less for the Velbon and Manfrotto gear is not a reason to buy if they are not up to the job. Yes, I have also had questionable products from Velbon and I agree with your comments about the Maxi. The Ultra 665 and its predecessor are very different in terms of quality. I have been using the Rexi-L for around 4 years now as my lightweight tripod. I have used it with Micro 43, a Canon 5D MKII and Medium Format including Pentax 67 and Bronica SQ. It has its limitations and doesn’t perform well in heavy winds with bulky cameras. 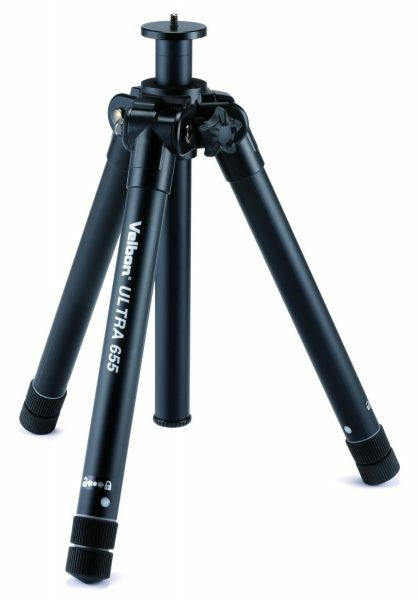 But if you are looking for a lightweight travel or trekking tripod, this is a good setup. As for Manfrotto being behind the times, that may be true. What I am sharing in the article is my own personal experience of what works well for me. And as the article points out, people have different demands of their equipment and place different levels of importance on features. You need to weigh up the pros and cons of each. I have always been very happy with my Manfrotto tripods. They have stood the test of time well. In terms of the tripod and head you mention, I can’t review these as I don’t have any experience or access to them. The best approach and one that I always encourage is for people to share their experience. It allows others to then do their own research. If you have any links, post them in the comments. The legs are aluminium but still remarkably light.